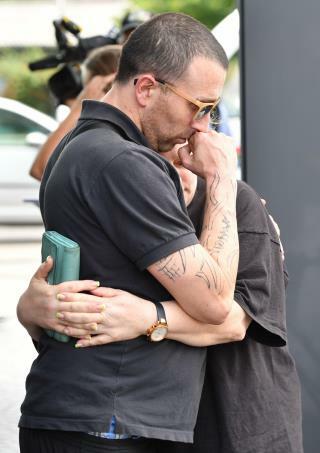 (Newser) – Investigators looking into Friday's mass shooting in Munich say the gunman spent more than a year preparing his attack, reports the AP. Bavarian investigator Robert Heimberger said the 18-year-old shooter, whom the BBC identifies as David Sonboly, "received inpatient (psychiatric) treatment in 2015 for two months and after that received outpatient care," said Thomas Steinkraus-Koch, spokesman for Munich prosecutor's office. "The suspect had fears of contact with others" and also depression. Sonboly visited the site of a previous school shooting in the German town of Winnenden and took photographs. new attack in Germany thanks merkelmuslim.... At least one person is dead and two others are injured after a machete-wielding Syrian refugee allegedly attacked passersby on a German street. The 21-year-old randomly hacked at terrified members of the public near a kebab shop in the city of Reutlingen this afternoon, it is reported. A woman was killed in the horrific attack, while at least two others suffered unspecified injuries, according to police and local media. Yeah, it's just a huge coincidence that there's been a surge of attacks in Europe over the past year or so when there were few previously.